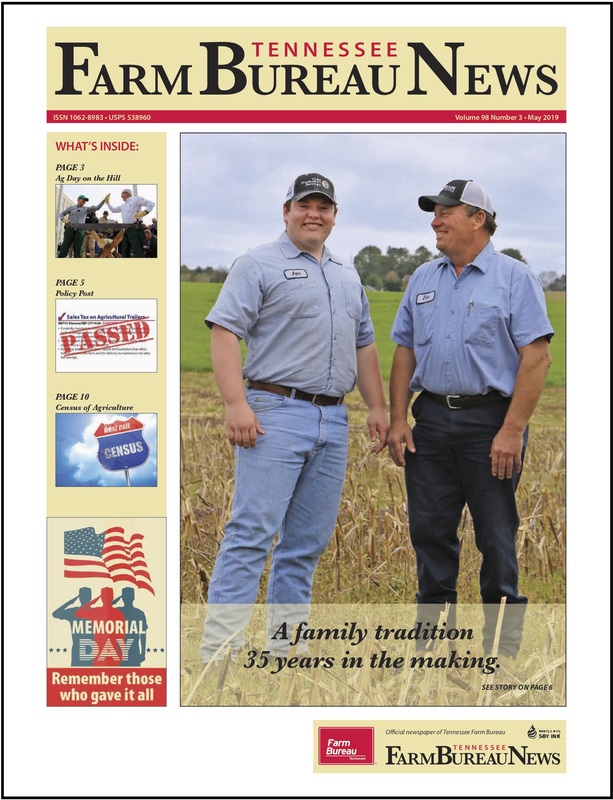 More than 1,500 farmers from across the state gathered in Franklin December 3-5 for the purpose of developing policy for 2018, electing leadership for the organization, presenting awards in membership categories, learning about the latest trends and issues in agriculture and networking with other farmers across the state. Tennessee Governor Bill Haslam gave a keynote address to the farm leaders and thanked the group for all of their tireless work to produce the food and fiber for the state and equated running state government to farming. “You don’t get to a good place without making a lot of hard decisions,” he said. 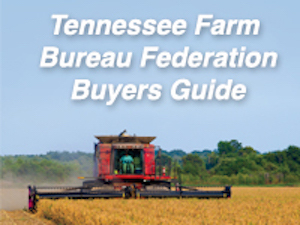 During the Tennessee Farm Bureau Federation’s business session, delegates debated policy proposals and passed resolutions that will guide the group’s legislative efforts in 2018 at the state and federal levels; and also re-elected their president of the nation’s largest state Farm Bureau organization. 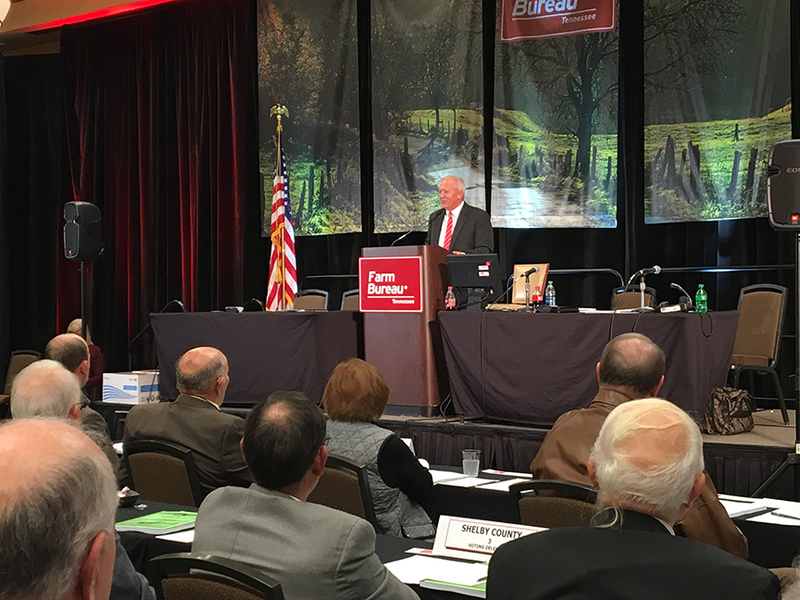 Washington county farmer Jeff Aiken was unanimously re-elected today by the voting delegate body to serve as the organization’s president, representing more than 661,000 family members in Tennessee. This will be Aiken’s second term as president; he served as vice-president from 2012-2015, and was a director-at-large on the state board of directors beginning in 1998. Aiken and his wife Carol farm 900 acres near Telford in upper East Tennessee where he produces corn, hay, straw, 100 acres of tobacco and more than 600 head of beef cattle. Others re-elected to the board of directors by the voting delegates were: Charles Hancock from Bumpus Mills, Catherine Via from Alamo, David Richesin from Philadelphia, John Chester from Martin, Josh Ogle from Flintville, James Haskew from South Pittsburg, Mike Scudder from Carthage, David Mitchell from Blaine and Jane May, State Women’s chair from Newbern. 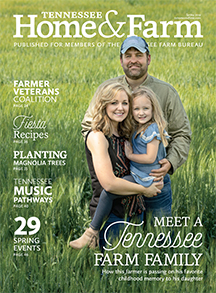 Also during the annual meeting, Hunter Grills of Dyer County was selected as the new state Young Farmer and Rancher chair and will serve as an advisory director on the Tennessee Farm Bureau Board of Directors.